Gaining a leg up on the competition is important to ongoing success in manufacturing, and across all business. How this can be achieved can take a multitude of paths. To simplify the issue for discussion, I find it useful to classify types of competitive advantages into three main categories. A short-term competitive advantage is usually gained by tweaking a current process. This is the easiest to implement and least risky form of change. Some people like to refer to these incremental changes as “continuous improvement.” Short-term is also the shortest-lived advantage because competitors are usually quick to recognize and reproduce it such that the edge lasts only weeks or months. An example of a short-term competitive advantage is along the lines of finding out that two months after you added an upgrade to your website that some of your competitors have added a similar feature. Don’t get me wrong, short-term competitive advantages are important to pursue, and some kinds of short-term tweaks can potentially produce long-term benefits. But they should be regarded as something that is necessary, but not sufficient, relative to a manufacturer’s ongoing business success. A medium-term competitive advantage is achieved by stretching beyond incremental improvements, but only to the extent that the proposed process change can still be tied back to current practice. As such, medium-term changes are still usually considered a natural evolution of the current state. For example, outsourcing is a perfect medium-term solution to increase capacity, in that a manufacturer can satisfy any sudden increases in marketplace demand. Outsourcing may also require more succinct codification of processes — like quality control — so that they are repeatable and easy to train. These are both positive changes that go beyond a short-term continuous improvement strategy. Though medium-term competitive advantages typically result in a higher impact competitive advantage than delivered by tweaks, they are still relatively short-lived. Why? Because once again the updated process aligns close enough with current practices such that within a few months or quarters some competitors will be able to connect the dots between their current process and your updated state. They will often be able to introduce process changes of the same ilk within their organization and/or systems. In the example of outsourcing, it is a strategy that competitors can spot, and that many or most can replicate. A long-term competitive advantage comes from a groundbreaking change in both strategy and process that often changes the underlying rules of the game. Due to their revolutionary nature, long-term competitive advantages are difficult to analyze and/or reproduce, and because of this, they deliver an extended, high impact marketplace advantage that can last years. Historically, integrating CNC capabilities was a long-term competitive advantage for machine shops. However, that bar has been raised in recent years by much more complex technological solutions like industry 4.0. Short-term tweaks are a necessary component of a comprehensive process improvement program. Their weakness comes when they are used as the primary — or sole — change management strategy. Why? Because tweaking doesn’t lead to a significant or sustainable competitive advantage. Instead, at best, it helps maintain the status quo. And it only does this if your competitors are also focused solely on tweaking. The advantage of tweaks is that, because they reflect only a slight change to current practice, their potential for success — and the amount of their impact — is highly predictable. Process evolutions, on the other hand, that lead to a medium-term marketplace advantage don’t often lead to sustainable shifts in market stature. On the other hand, they do offer a type of insurance policy that your competitors won’t gain a jump on you. While leading to more quantifiable impact they are still — like tweaking — fairly predictable in their potential for success and quantified impact since they, too, are tied to current practice. The success and impact of changes leading to long-term competitive advantages are less predictable. They require significant time and heavy lifting to develop, implement and demonstrate because they require a revolutionary shift away from the current function. Often though, when delivered, they result in radical marketplace shifts. Because of this, they are still highly desirable. Due to the risks associated with long-term competitive success, individual practitioner companies tend to avoid developing them on their own. For this reason, innovative change is often developed in three different ways: in conjunction with academics, through a consultancy or acquired by working through startup companies. Over my career I’ve had great relationships with various academics. Too often, though, they lack the business sense needed to take their idea and develop it into a commercial success. Instead, they rely on you to take their idea and commercialize it which, I might add, is usually the bulk of the work. Consequently, there is risk involved when relying on an educational institution to deliver process innovation, especially in business. As for developing an innovative strategy through a consultancy, I was an executive level consultant for 10 years, so I have a firsthand basis for the following observation. Most consultancies are not based on innovation. They are based on repackaging existing tools so they look “new and improved.” As a result, successful consultancies too often are better at marketing than delivering actual extended competitive advantage. In fact, if you look across the spectrum of products offered by consultancies you’ll often find that outside of the packaging you don’t find much difference in what they deliver, other than their fee structure! Overall, working with startup companies is the most successful strategy of delivering innovative change. The thing to remember about startups is that they have skin-in-the-game. If their strategy and product proposals are not based on true innovation, they lose everything. If their strategy and product are innovative, but they can’t develop them into a commercial ready tool/service, again, they will lose everything. And finally, if the tool/service doesn’t strike a chord with industry practitioners, they lose everything. That’s having skin-in-the game! I don’t know about you, but whenever I’ve put my skin-in-the-game I’ve always found it better to work with partners who also have their skin-in-the-game. Academics have tenure, i.e. no real risk there. Consultancies have other potential customers to approach so they too, have an out. But startups live or die based on whether they have truly introduced and developed innovation that promises to leave the status quo in the dust. And when they are not successful at this they are usually short-lived. Make Time’s innovative sourcing strategy has survived the initial startup phase. How do I know this? They have already passed three rounds of funding into the double-digit millions. They have exponentially increased in manufacturers served, parts made and overall supply network growth. And, last but not least, they have found the startup equivalent of the holy grail: true product-market fit — just ask their fortune 500 customers. Surviving an initial startup phase is rare and is a testament to both the innovation behind the strategy and a lot of heavy lifting by a lot of dedicated people. Lastly, MakeTime knows they cannot stand pat. Among other recent changes aimed at strengthening the manufacturing community, they are in the process of developing exciting complementary and supplementary features. 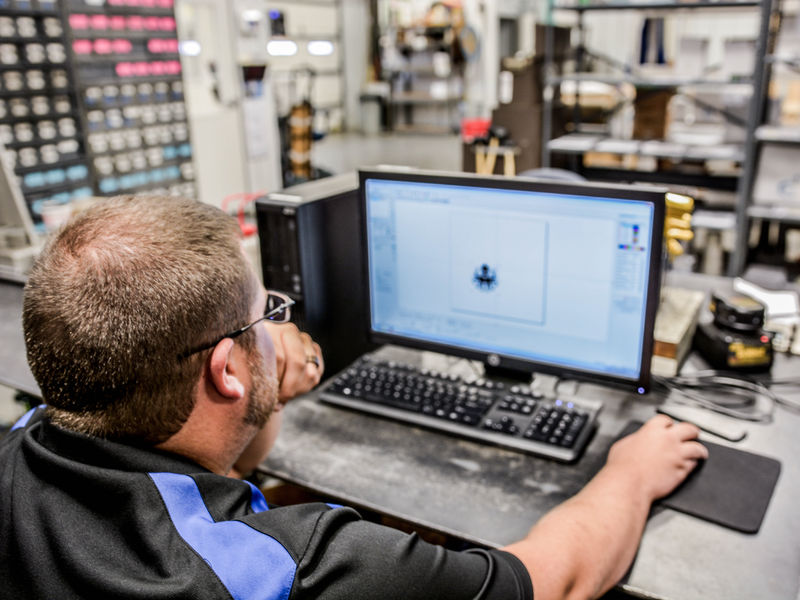 These new options will increase the value proposition of their services to both machine shops in their supply network and their manufacturer customers. One way for a company — either machine shop or manufacturer — to gain a competitive advantage is to be an early adopter of revolutionary practices and techniques, from digital connectivity to 3D PDF. Working with a startup company actually greatly reduces a practitioner’s risk, since startups usually have a low barrier for entry, and the practitioner will know fairly quickly if the tool/service won’t work out for them. If I were still an active purchasing executive I would be looking closely at trying out MakeTime’s current services — with the knowledge that they represent just the tip of the iceberg of what will likely be delivered over the next year or two. The same goes for machine shops thinking about joining MakeTime’s supply network. Companies that rely on generation-old practices are often left at the wayside, stuck either wondering what happened to their business or trying desperately to catch up. My next article will start to explore the ways in which you can introduce yourself to Make Time and try out their services. Learn more about Paul Ericksen and his forty years of experience in the manufacturing industry here.